When I share my passion for Lakewood Catholic Academy with others I always say the same thing . . . My children's lives will forever be shaped by their time at this school. Their foundation, their faith and their friends are deeply impacted by their LCA experience. I am confident they will be better human beings for it. Providing them with the opportunity to attend LCA is one the greatest gifts we are giving them as parents. 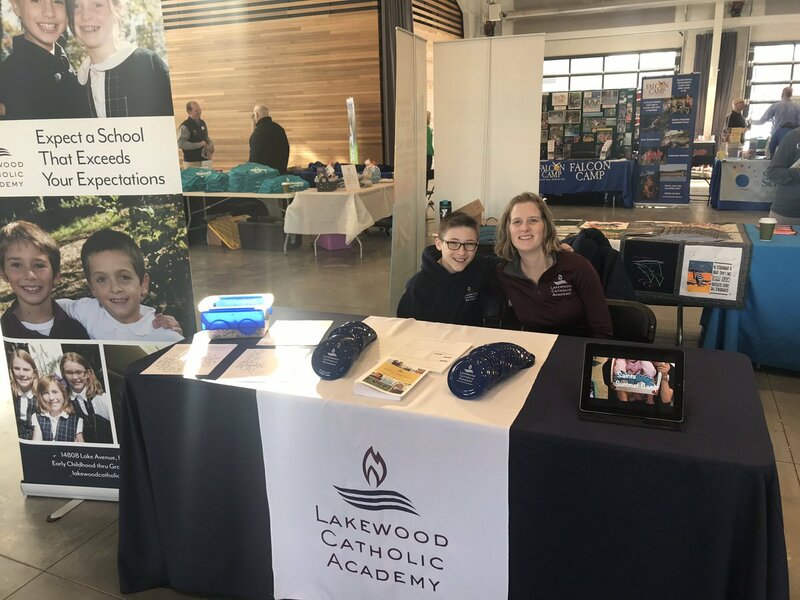 We are absolutely thrilled with the education that our three daughters received from Lakewood Catholic Academy. The preparation they received for the transition to High School was excellent which allowed them to continue to excel. Lakewood Catholic Academy offers a world class education. The reason we love the school is that it prepares them to leave the world a much better place than they found it! The Sisters of Charity of Saint Augustine are so very proud of the excellent education being offered at Lakewood Catholic Academy. LCA is extending our ministry in education which the sisters did for so many years at Saint Luke's and Saint Augustine Academy. Thank you for keeping the tradition alive! I am proud of Lakewood Catholic Academy! Since the school was founded, it has gone from strength-to-strength, with excellent academic, athletic and arts programs. Financial aid opportunities have been expanded too. When I meet Catholic parents, I always encourage them to consider LCA. The school is an asset to the entire community! Come discover the magic of Kindergarten at Lakewood Catholic Academy - enrollment for the 2019-2020 school year is open!